YouTube is a revolutionary video-sharing platform that has facilitated broadcasts of user-generated content—hundreds of thousands of videos are uploaded every day. 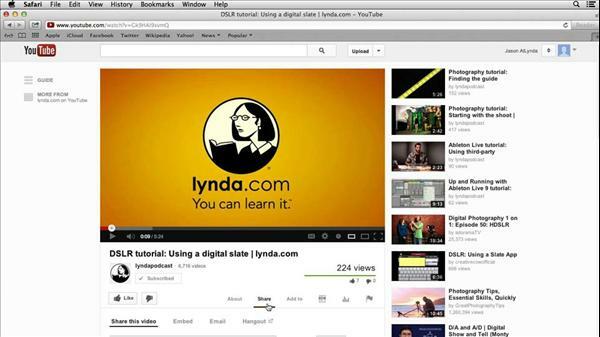 In this course, Jason Osder shows you how to view, upload, and share videos on YouTube. Learn how to start an account, build a following, promote videos on Facebook and Twitter, and shoot and edit film specifically for a YouTube audience. Plus, get tips on troubleshooting video, such as removing compression artifacts and analyzing video performance.